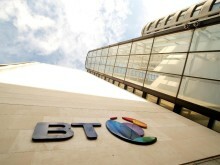 The company’s wholesale FTTP network is the largest of its kind in the UK – passing more than 327,000 homes and businesses – and it is open under the same prices, terms and conditions to any Communications Provider (CP) company. The new faster services will be available to homes and businesses across the entire FTTP network, which will double in size over the next 12 months and reach up to two million premises by the end of 2020. The upgrades are part of a plan to make ultrafast speeds available to up to 12 million UK premises in the same timeframe, using a mix of fibre technologies. Openreach will launch two additional wholesale products over FTTP on 6 December 2016, including a new up to 500Mbps product – with an upload speed of up to 165 Mbps – and an up to 1Gbps option with an upload speed of up to 220Mbps. The company believes that these new products will be of particular interest to small and medium businesses. The complete FTTP portfolio will range from up to 40/2Mbps, available from £15.29 per calendar month (wholesale), up to 1Gbps/220Mbps, available from £80.00 per calendar month (wholesale). 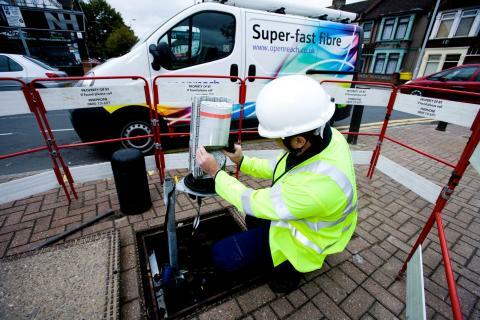 Clive Selley, Openreach CEO, said: “We’re committed to taking the UK from being a superfast to an ultrafast nation, and whilst we’re extending the reach of our Fibre-to-the-Premises network, we’re also boosting the speed and variety of the services we can offer over it. “We’ve been working closely with our wholesale CP customers to develop these new ultrafast products, and we expect the new higher speed services will be of particular interest to small and medium businesses. Dedicated ultrafast lines of up to 10Gbps – known as Ethernet - are already available from Openreach to companies throughout the UK, but back in June, the company committed to launch even faster speeds over FTTP which would offer businesses an alternative. Openreach has been trialing new processes and techniques – including ‘plug and play’ technology - to deploy FTTP more quickly and efficiently across the UK. The trials are successfully improving the way customers are connected and have cut installation times down from requiring multiple visits by an engineer to a simple two hour appointment. Today, more than 92% of homes and businesses in the UK have access to superfast broadband speeds of 24Mbps and above, whilst Openreach’s wholesale fibre network is available to 26 million homes and businesses in total.